Miniature modelers' hammer with 2.5 oz. steel head and steel handle with aluminum grip. 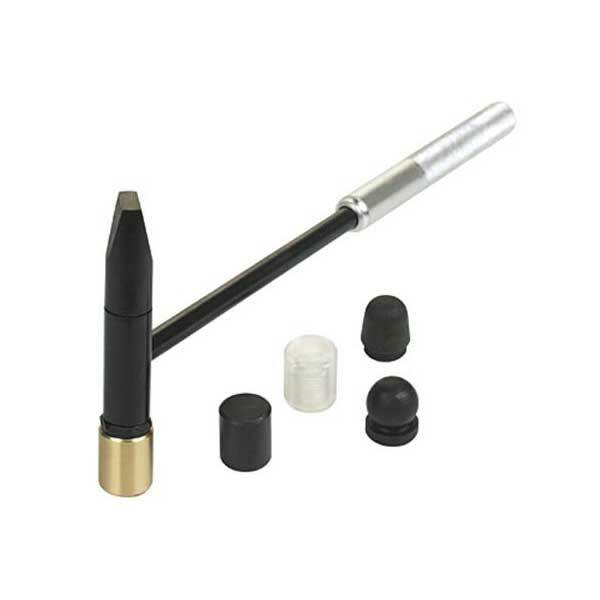 Six screw-on tips include brass flat, steel tapered, steel ball, steel dome, steel flat and plastic flat. Use for driving pins and mini nails, and for forming sheet metal. 7-1/2 inches long overall.